Elton John is saying goodbye to the road, finishing up his incredible career with a three-year “Farewell Yellow Brick Road” tour. The music icon’s final tour will begin in the U.S. on September 8, 2018 and will hit five continents, with the superstar performing for his fans during more than 300 planned shows. The “Farewell Yellow Brick Road” tour will travel through North America, Europe in April 2019, Asia in November 2019, Australasia in December 2019, and South America in March 2020. 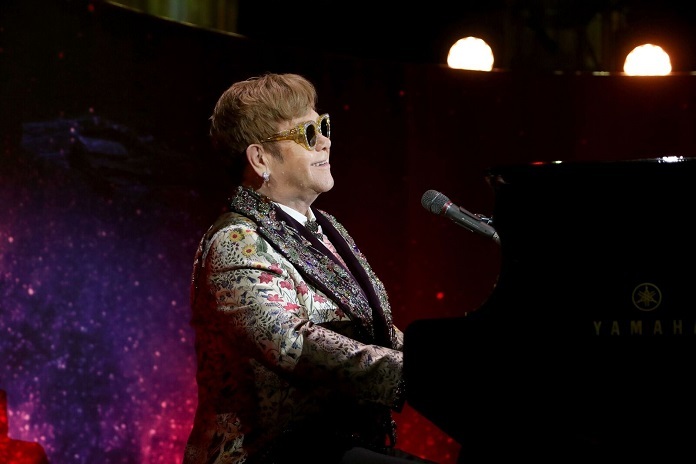 Elton John will wrap up his farewell tour in North America in 2021. The following information was released regarding ticket sales: “Tickets for initial shows listed below go on sale to the general public beginning February 2 at 10 a.m. local. Tickets and VIP packages can be purchased at EltonJohn.com. American Express® Card Members can purchase tickets in advance in North America beginning Thursday January 25 at 10 a.m. local time, through Monday January 29 at 10 p.m. local time. A limited number of exclusive VIP Packages will also be available for sale starting Thursday January 25 at 10 a.m. local time. These exclusive offers can include premium tickets, on-stage photo opportunities at Elton John’s piano, backstage tours, limited-edition lithographs, custom merchandise and much more.